In order to make our research to write your feature story more convenient for you, we compiled a list of questions here. 2) What was one of your earlier jobs (or businesses) that you feel was the most fun, or that you learned the most from? Tell us a bit about it. 3) We all had ideas, as kids, about things we "wanted to be when we grew up." Often these were inspired by cartoons, movies or books. What did YOU want to be when you were 7-10 years old? What did you find interesting about that and do you see anything in that that you feel you have brought with you into your business? 4) What is your favorite fiction book and why? What did you fine the most interesting about that book? The story? Characters? The way it was constructed or written? Or the underlying message or moral it contained? 6) Where did you grow up? How long have you lived in Central Florida and what brought you here? What does the town you grew up in, and Orlando, have in common... if anything? 7) When you aren't working, what do you do for fun, hobby, enjoyment? 8) Do you work on any charities or community projects? Tell us about them... does that cause or mission have special significance for you? 9) What is your favorite customer story? Perhaps it's humorous, or maybe one where you helped turned a bad situation around, whatever pops into your head. 10) What plans do you have going forward for your business or career? Perhaps it's expansion plans, or maybe you're looking to build an "exit strategy" for retirement? 11) What is your target market for your business? In other words, who would be a good referral for our members to send you? 12) What is your companies "USP?" That stands for unique selling proposition... in other words... what makes your company different from your competitors? 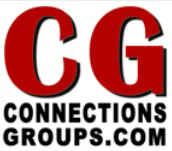 13) How long have you been a member of the Connections Groups? Do you have any stories, good contacts you made, or anything positive that has happened as a result of your membership? Please feel free to include up to 4-5 photographs that you would like included in the story, along with the website for your company or business for us to link to.